Sheena has posted before/after pictures of the interior. 12 + 12 = 1? mae is releasing a new song every month this year for download. you can pay as little as $1 for the song. the money you pay goes straight to building a habitat for humanity house. cool stuff. so far they’ve released a song for january and a song for february and raised almost 12k. and the songs are really good, too. 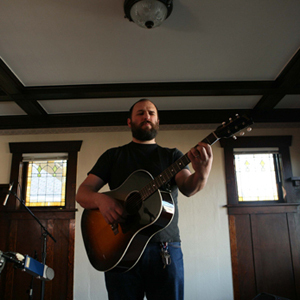 David Bazan is doing a limited number of house shows across the U.S. Someone please host one in Birmingham. I’m not sure our house would hold enough people. It’s like they were made for each other. You guys wanna stick around for an oven mitt? Yep, it’s as awesome as it sounds. What? You think this is wrong? 1: I’m not going to listen to this, I’m not going to hear this now. 2: ___! ___! You’re chanting!___ , unconscious chanting! You’re chanting! I want to kill everyone. Satan is good. Satan is our pal. Hey, once they get in here, its over, pal. I don’t get it. Why is everyone saying this movie is so good? I will say that the plot is actually pretty good, and the ending is solid, but the execution is just plain terrible. The acting in this movie is beyond bad. I haven’t done any research on this, but other than Clint, and the guy who played the barber, I don’t think there is a professional actor in the film. And it shows. And that’s not a good thing. I really think this could have been a good movie, but it just wasn’t done well. And the way Clint talked about people, and the names he called them… I just have a hard time believing people are that over-the-top ridiculous. Needless to say, the dialog at times is quite laughable it’s so bad (and racist). At one point Sheena even said, “I didn’t know this movie was a comedy.” Yeah. I also didn’t like that they felt they had to explain what Clint’s character did at the end. I’m not stupid, I know why he did what he did. 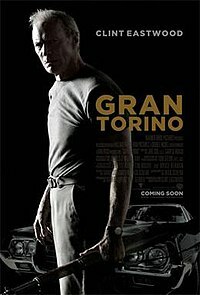 I wanted to see this movie because it was written by the guy who wrote Fight Club, and that’s one of my favorite movies. It also stars Sam Rockwell, whom I’m a fan of. The movie, though, not so much. I will say that I was never bored, and was even somewhat entertained, but the plot and content on the whole just really didn’t do it for me. I might recommend this to a small handful of people, but most people I’d just tell to stay away.